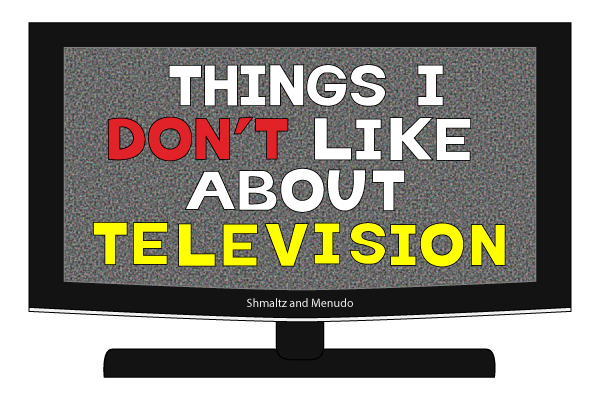 Just so you know, these complaints are primarily focused on American television. When I started this list, I honestly had no idea that it would be this long. I started working on this list in 2012, and I posted this in three LAP’s on NF. After re-reading my list of complaints, I realized they needed to be revised. These gripes were not originally enumerated, but I tried to list them in a way that one would make a smooth transition to the next. I did not address every point about each gripe, as this list was already long enough — and I of course had to deal with the dreaded 10,000 character limit. In 2014, I took the opportunity to expand on my thoughts by breaking down each gripe within its own post. Now, I have added more categories to the list. Additionally, the old posts have been revised to reflect the passage in time. As for the list, I rearranged the order a bit. While I originally started with “reality” programming as it is one of the things I hate most on television, I am starting with network decay now. This list might be expanded as I remember more things I want to say. I also think the technical complaints, like those about cable and satellite companies, should be pushed back to the end. The actual content should be addressed first. Episode 3: Clip Shows, Et Al. Episode 20: Bob Costas, Et Al. I want to put these out quickly but not oversaturate them over a particular time. My current plan is to post these on Tuesdays and Thursdays after the start of the New Year. The goal is to finish these before June 2016.